DayDreams is a small private company specialising in gulet cruising and sailing along the stunning coastline of south west Turkey. Founded by Jenny Day in 1987, the Company has just celebrated its 30th year organising tailor-made gulet holidays on the much loved Cevri Hasans along with numerous other gulets and schooners. 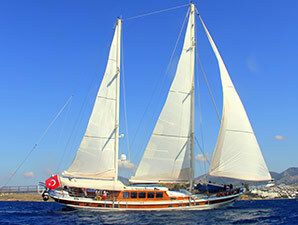 The DayDreams team, both in the UK and Turkey, are experts in organising tailor-made gulet holidays. They can advise on all aspects of a gulet charter, from the most appropriate boat to suit individual needs, to recommending an interesting itinerary (to include archaeological sites and areas best suited to walking and exploring remote villages on shore). In recent years, the Dodecanese islands between Samos and Rhodes have become a favourite cruising area too. 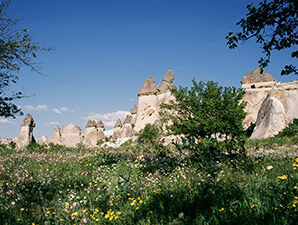 Istanbul city breaks and land tours to areas such as Cappadocia and the inland Aegean are often added to a gulet holiday. The team's organisational skills and expertise really will make the difference. 10 superb gulets to choose from ranging in size from 28 to 47 metres, all with a wide variety of water sports equipment, spacious interiors, master cabins, excellent captains and crew and most of all a chef. There is also a fully inclusive ‘package’ available on the wonderful 5 cabin Lady Christa and Carpe Diem 4/5. 17 gulets in the luxury category with a wide choice of boats between 15 to 32 metres, offering something for the small family wanting an exclusive charter, up to a large group wanting to celebrate an anniversary. The comprehensive list has a variety of options with gulets from 2 to 8 cabins (16 passengers) all with a variety of watersports equipment. What you can expect from a standard gulet - a well maintained boat with an excellent captain and crew, good food from the on board cook, but limited water sports equipment and little of the luxurious aspects of more expensive luxury and deluxe categories. Sizes -16 to 26 metres (2 to 8 cabins). Jenny Day started DayDreams in 1987, following a corporate weekend to Istanbul she organised for a client from her London PR consultancy. 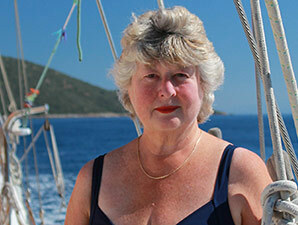 Wearing her PR hat, she went on to lead many journalists to Turkey in the late 80's on gulet holidays. Intent on sharing the experience with friends, she returned several times with her own private charters on the first Cevri Hasan. Since those early days, she has used her expertise and extensive knowledge to expand the business offering gulet holidays to single travellers and couples, family groups and larger parties of family and friends looking for a special holiday or anniversary. All are able to tap into her specialist skills and knowledge. A few days staying in this wonderful old city at one of the recently restored Ottoman houses (now private hotels) will enable you to visit some of the world's greatest museums and buildings. It is just a few minutes walk from some of these hotels to the Topkapi museum, the 5th century St Sophia and, of course, the Grand Bazaar with its myriad streets of endless shops. Add to this, a private cruise on the Bosphorus, now that really is a magic weekend. If you prefer to keep your feet firmly on the ground, there are numerous, diverse regions of Turkey to explore. We can advise, plan and organise an itinerary to suit your interests for any number of days. 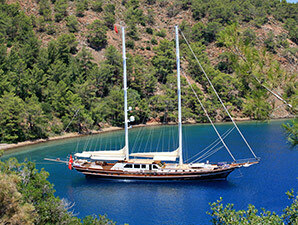 You can then add a few days on land to a coastal cruise, extending your gulet holiday. 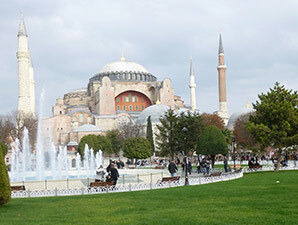 Istanbul is ideal for 3/4 days, Cappadocia could be anything from 3 to 5 days plus many other ideas. 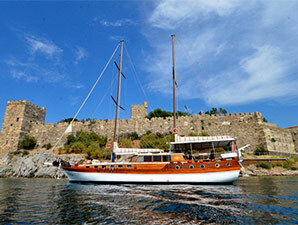 "Our fifth gulet holiday in 23 years and just as much fun as ever. Great company, good food, great trips on shore and great crew. "Gerald & Danuta Tagg from Wiltshire travelled in September 2017 on Cevri Hasan III.